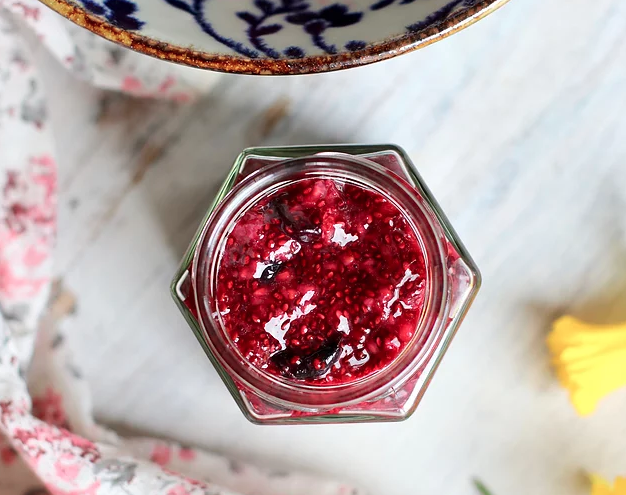 Today we’re sharing an easy recipe for a flavourful and refined sugar-free chia seed jam from our nutrition contributor Sadia of Pick Up Limes. On Monday mornings I like to do a little bit in the kitchen if I can, for the week ahead. I like to make a batch of oat and raisin clusters for snacking and now I also can’t wait to try this new recipe from Sadia for a chia seed jam. Forget that you ever heard about jam being unhealthy. I never thought making homemade jam could be so easy… and good for you! I always thought I’d have to add loads of sugar and some kind of thickening agent. I was so wrong. This recipe has no added sugar and it really doesn’t need it. 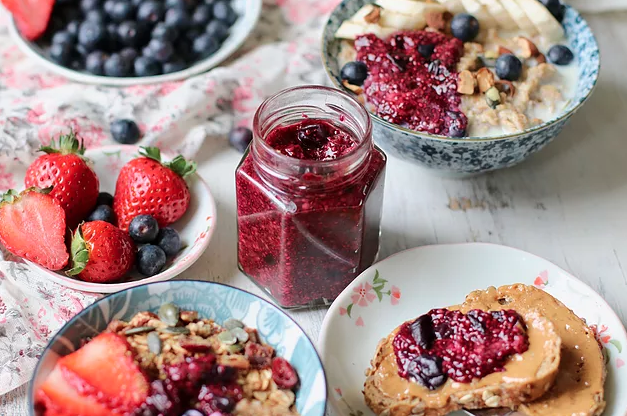 The sweetness comes naturally from the berries and the thickening comes naturally from the chia seeds that gel from the juices released by the berries when they thaw. Dietitian’s recommendation: I recommend using organic berries if you can. 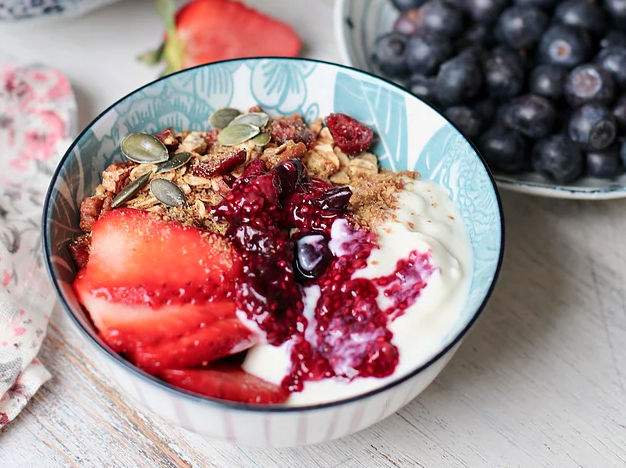 Each year the Environmental Working Group updates their list of the Dirty Dozen which outlines the foods most contaminated by pesticide use, and every year some kind of berry has made it to the top of this list. Enjoy this jam on toast, on oatmeal to naturally sweeten, or in your plant-yogurt and granola parfait in the morning completely guilt free. It’s loaded with antioxidants, fibre, minerals, vitamins and omega-3 fats from the chia seeds. Dietitian’s Recommendation: Because this jam is made at home without any preservatives, it’ll last only up to 5 days unlike the store-bought variety that can last months. But guaranteed you’ll finish it before then, and given how easy it is to make you’ll be making your next batch before the week is up! Or visit the Pick Up Limes website here for the printable recipe PDF. Sadia is a Canadian foodie and Dietetics Graduate currently living in The Netherlands. She now works as a YouTube content creator for her channel Pick Up Limes – an online community of over 1 million people. She also regularly adds new plant-based recipes to her blog, along with uncomplicated and informative nutrition articles. The Pick Up Limes food philosophy is to take things back to the basics. Sadia believes in eating as much whole-food, plant-based ingredients as is reasonable to each individual, using food as a way to nourish ourselves. She also believes that when it comes to diet, each person is unique and individual, and it’s important that we all honour where we are at. Sadia has very kindly given her permission to us to share some of her content on a regular basis here on Happy Magazine and we are just delighted.